An award winning cheese hand-picked from each county (Cornwall, Devon, Somerset, Dorset) to showcase some of the finest cheeses made in the South West. 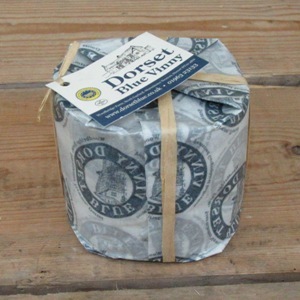 An award winning farmhouse blue cheese, produced on the Davies family Woodbridge Farm in Dorset for over 40 years. The sweet mild creamy cheese of distinctive character is hand-wrapped in paper and tied with string to make it the perfect gift for any occasion. Contains approx. 500g of cheese. 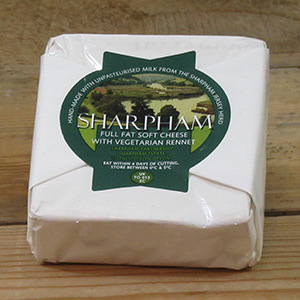 Also known locally as Sharpham ‘Brie’, this award winning unpasteurised Coulommiers type Cheese, handmade in the Creamery to their own recipe since 1980, is a mould ripened cheese with a unique buttery flavour and creamy texture. 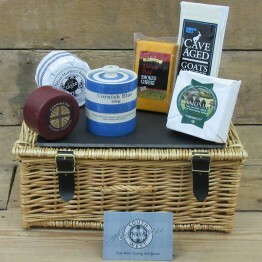 This is a real, live, soft cheese and stands on its own or with good bread or biscuits. Salt, starter cultures and vegetarian rennet are the only additions to fresh Jersey cow milk. 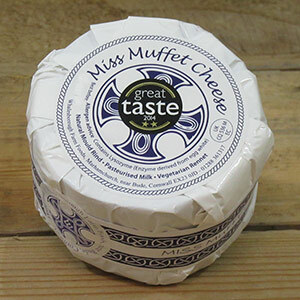 An award winning sweet continental style washed curd cheese with a supple texture and nutty creamy flavour – unique pink/grey natural mould rind. 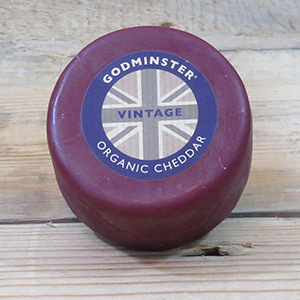 A deliciously creamy, soft organic cheddar enrobed in their distinctive burgundy wax. The cheddar is matured for up to 12 months, at which point the best cheese is selected to be made in to an award-winning truckle. Totally organic with no additives or preservatives! Although we endeavour to include all the items listed, during periods of high demand we may very occasionally substitute an item for an alternative. In this unlikely event, the replacement will always be similar to the original product and of the same or greater value. 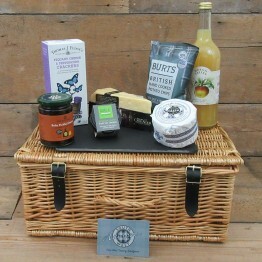 As we want you to enjoy your gift, fresh produce should be kept refrigerated and best consumed within 5 days of arrival. These items are not suitable for freezing. Please refer to individual item label or product website for any allergy information. 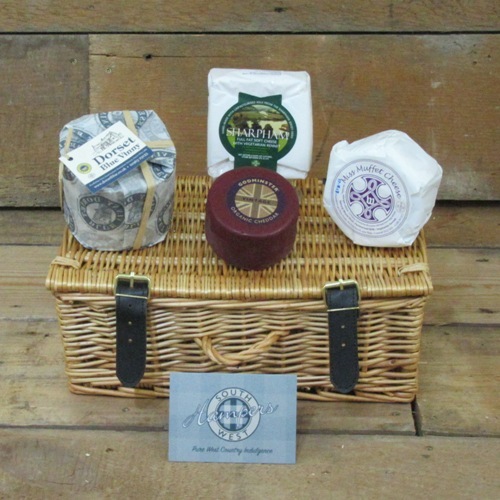 This is the perfect gift of six types of delicious cheese anyone would be proud to have on their che..
Our non-alcoholic take on this classic, offering a natural slate cheese board, with a selection of W..